It was a time of legend, as the last shadows of the mighty Roman conqueror faded from the captured Isle of Britain. Meanwhile, across a vast sea, bloody war shattered a peace that had flourished for 2,000 years in the doomed kingdom of Atlantis. 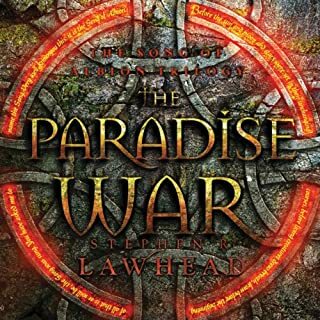 This is the remarkable adventure of Charis, the courageous princess from Atlantis who escapes the terrible devastation of her land, and of the fabled seer and druid prince Taliesin, singer at the dawn of the age. It is a story of an incomparable love that joins two astonishing worlds amid the fires of chaos, and spawns the miracles of Merlin, and Arthur the king! This is the first book of The Pendragon Cycle. This is a fantastic book. I was captivated by it. There are parts of the book that I can see would be slow or taxing for some who are addicted to the instant gratification of constant action. However, just as Tolkein's more detailed descriptions of landscape and character give that book the intensity of reality, so does Lawhead's descriptive style give depth and reality to this story. Regarding the negative comments about the narrator, I both read and listened to the book alternately. I found the narrator?s interpretation provided depth to the characters and story that exceeded my own interpretation. I found myself returning and listening to sections that I had read just to hear how the narrator would interpret the section. I often preferred hers to mine. The only difference I would cite is that the narrator portrays the character of Charis as a little more rigid and cold than I had interpreted her to be. For those who enjoy fantasy, I highly recommend this story. The Pendragon Cycle has to be the most human and complex of all the Arthurian legend tales, linking the magic and demise of Atlantis to the birth and life of the English saviour/king. The depth of the character development is wonderful, though perhaps not to the taste of those who enjoy a more action-packed story. There were times during the story that were so poignant and tragic that I found myself with tears in my eyes - a rare achievement for a narrated book. Overall, an enthralling and engrossing look into the lives and cultures surrounding this interpretation of the legends of King Arthur. Despite other reviewers comments, I found the narration easy to hear and follow along with. Nadia May has proven herself to be a popular interpreter of recorded books time and time again. Thoroughly enjoyable - please Audible, publish book 5 'Grail', the anticipatition is killing me!! I have many books about the "King Arthur" legend. 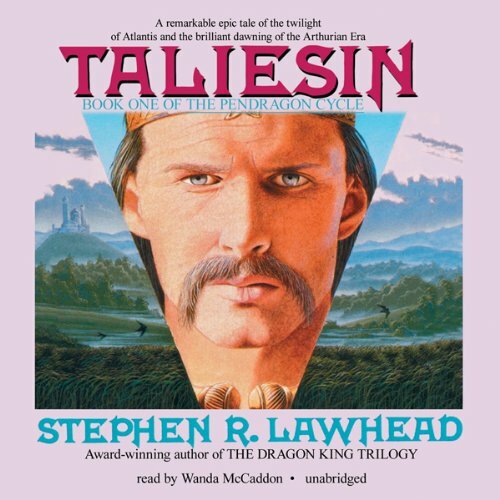 This five book series which starts with "Taliesin" and narrated by Nadia May is a wonderful interpretation. I have read and listened to at least 6 times and have always found something I might have missed when I first listened. The next three books are narrated by another of my favorite narrators Fredrick Davidson, and the last book in the series "Grail" is narrated by Robert Whitefield. 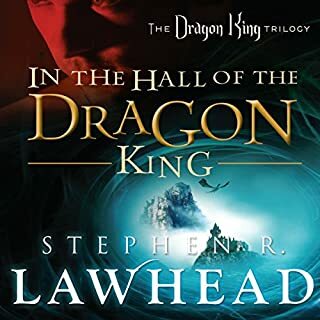 Each narrator does a brilliant job and if you enjoy the legend of Merlin and Arthur, you will enjoy this series. It is different and you should start with this book, then Merlin, Arthur, Pendragon and finally Grail. 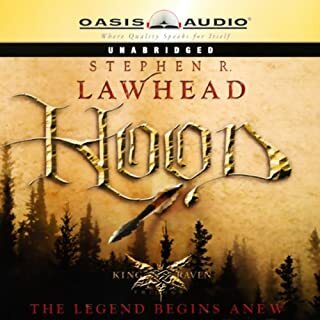 I have at least 6 other audio books about the "Arthur Legend" and most are enjoyable, but this to me takes the reader or listener to fantasy and legend that has not been touched upon before. 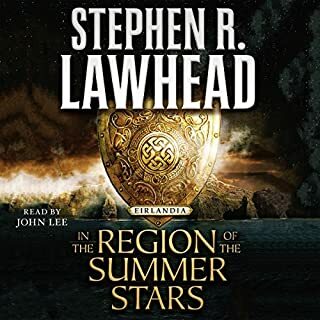 Always try the free listen that Audible gives to see if you will like the narrator, I have only found maybe 3 in the entire ten and a half years I have been a member to annoy my ears, but if the story is truly good I can usually get past. much better sounding/ less pretentious than the guy they got to read the next couple. Not being Christian, I found the series annoyingly skewed. It might have been the author?s intent, but occasionally it kinda beats you over the head with the Jesus theme. All the books in this series do. I?m sure there had to be a more subtle way to get the job done. It's a very well written fantasy series though; it's worth all of the 5 stars- even with its cultural biases. Taliesin is the first book of a series of outstanding historical fiction. The tale begins in Atlantis and continues through the reign of Arthur, King of Britain. Each of the books is "narrated" by a different key figure of the tale. The books are lengthy but are so facinating that one wishes they were longer still. It is a long book with a lot of attention to detail. However, this adds to the feeling that you are peeking into the lives of people who really existed. It is a believable Authorian Legend Telling. 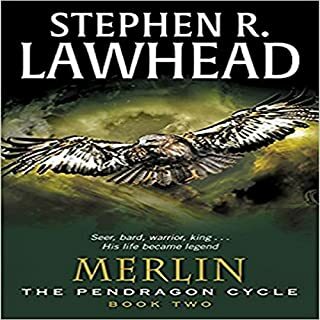 I continued through Lawhead's Pendragon Cycle (Merlin and Author are the best books but this one sets them up.) Read them in order Taliesin, Merlin, Author, and Pendragon (the forgotton war). I was a bit concerned when I read some reviews indicating that the book was long, the story slow in building and that the narrator's voice was hard to understand. I was pleased to find that I quickly be came engrossed in the story. The narrator was easy to listen to and added emotion to the story. The story does build slowly as do all good stories. Because of the time taken to build the imagery of the characters you become involved with the story. I finished the book in 3 days. It was hard to put it down. I intend to listen to the next book in the series. If you miss old movies which were over 2hrs long then you will enjoy this novel. If you enjoy fast action pack stories you could become bored. I hope Merlin in the next book has a happier life than some interpretation of Merlin that I have read. I hope this review was of help. Though I didn't care too much for the narrator, I loved the story. I was glued to the speakers throughout the whole thing. This is a good book and well read however it does suffer from being slightly slow in places. Those reading wishing to be thrown straight into the world of arthur may be fustrated and the first third of the book does not help, being slow. The middle third is a lot better, however the third part in more like the first. However if the reader/listener keeps at it then they will found a book that provides a good introduction and provides a lot of depth to later books. 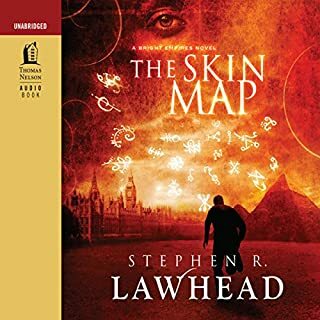 I was introduced to Stephen Lawhead's works through reading "Byzantium", which I found to be an extraordinarily well written book. Placed in a far away time and place, it was an epic that I simply could not put down. "Taliesin" is, as they say, quite a different story. Lawhead's descriptive quality is here, and the characters of the tale have wonderful potential for drama. The drama does unfold...eventually. This book takes a very long time to grab and hold your attention. There just is not a whole lot that happens through much of this book. While listening to this book, I could not help but be constantly reminded that it was book one of a five book set. Perhaps the purpose of "Taliesin" is simply to be an extended exposition to "Merlin". With regards to the vocal quality of Nadia May, let me simply say that I have head her readings of many audiobooks, and I consider her a fine dramatic reader. I suggest that those who found her vocal quality difficult try downloading the book at a higher audio quality level, or to simply adjust the treble controls on their players. I can find no fault with a voice that has a British accent telling a story that takes place in the pre-Medieval British Isles. "Taliesin" is not a dull book, it's just a book that takes its time. Couldn't bear to listen to the narration even with the speed at 90%. Returned it. I didn't finish this it was unbareable, and very Tiresome. The reader was easy to listen to sounded like Judy Dench, but the story was hard & slow to get into. I was continually waiting for the story to start to the point I had enough. Sorry didn't finish is it put me to sleep. I would not recommend . I crept waiting but this stayed in the realms of conversations with a focus on anthropology . Never developing to an interesting story. Would you listen to another book narrated by Wanda McCaddon? It promised to develop it just never developed.